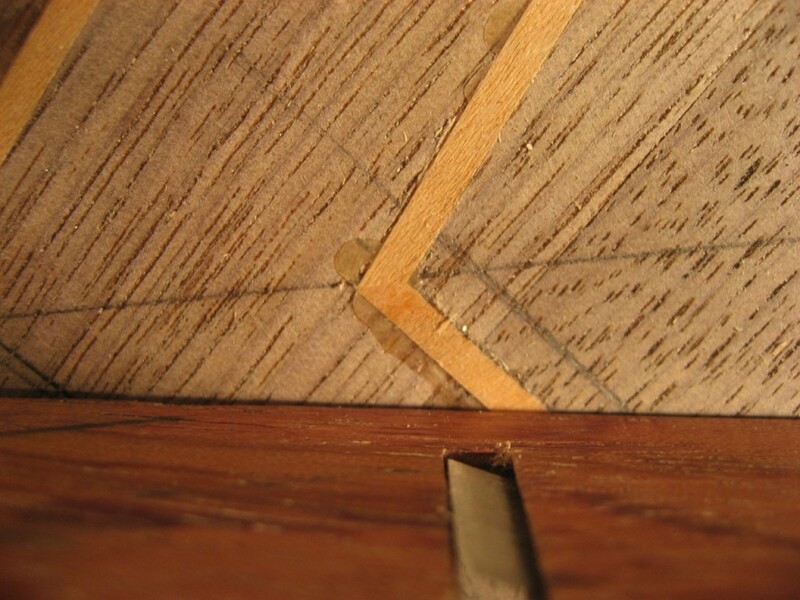 Where the inlay meets at the corner, the junction between the end and sides, each piece ends in a 45 degree to mate perfectly around the corner. I shoved and glued the first piece of inlay all the way into the corner. 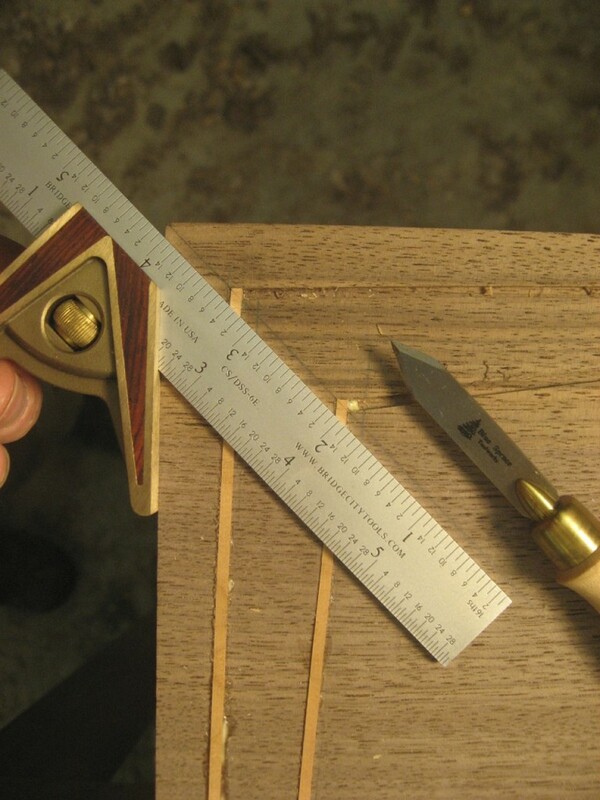 Then I used a small combo square to knife the 45 degree from the outside corner of the table. 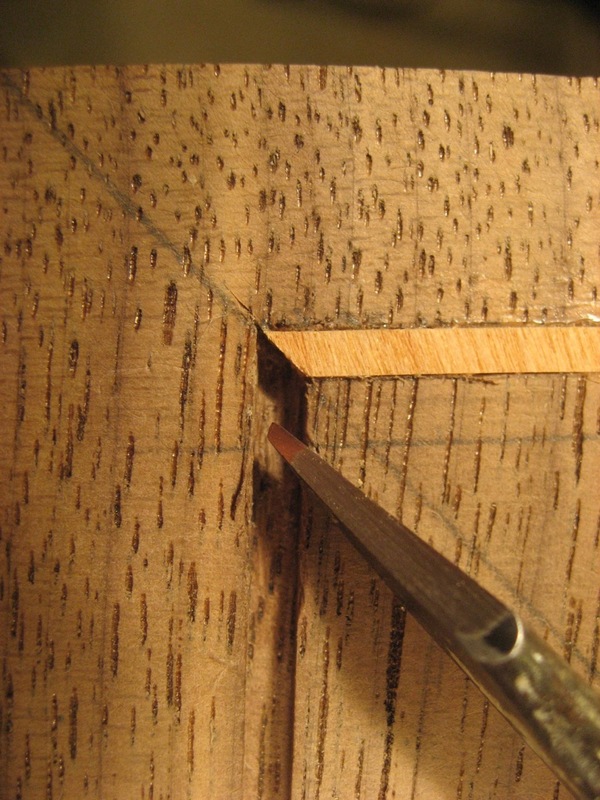 It was quick work to remove the extra inlay with a small chisel, right along that knife line. I could back-bevel it very slightly to allow room for the next piece – but not too much since it”s still proud of the surface. I cut the next piece to match and glued it in place. A nice, tight fit. Check out the March issue of The Highland Woodturner Project Update: The Little Free Library-Where woodworking and reading can be shared with the community.